Clean Technica points out that the battery-making factory is on track to reduce battery prices by 30% by 2017, making EVs indisputably cheaper than fossil fuel-driven internal combustion, at less than $100 per kilowatt hour. (Of course, if externalities are taken into account, like the cost of environmental disruption caused by global warming, EVs are already far, far cheaper than gasoline engines. Moreover, if coupled with rooftop solar panels, i.e. with free fuel, their pay-off time is even quicker and households can cut tons of CO2 emissions each year). Not only will the gigafactory lead to cheaper auto batteries, it will also lead to better battery storage for home solar panels so you can store solar power and use it at night. Some states now give tax benefits to buyers of EVs or mandate a percentage of EVs on the road by a date certain. But what is really needed is onerous taxes on fossil-fuel-driven vehicles to reinforce the savings consumers will derive from EV ownership and drive EV ownership up toward the millions of vehicles. The US emits 5 billion metric tons of carbon dioxide annually, or about 16 tons per per person, the highest per capita in the advanced industrial world. Some 28% of that, or 1.4 billion metric tons, derives from transportation emissions. If you are an American, I repeat, you are putting out 16 tons of CO2 every year. You’re a big part of the global warming problem. Middle class homeowners who put solar panels on their roofs and get an electric vehicle or plug-in hybrid can substantially cut that number, and will actually save a lot of money doing so. While moving to downtown Portland and using public transportation may be even better, not everyone can do that, and it will take time to de-suburbanize the US and move habitations and jobs back into manageable cities. 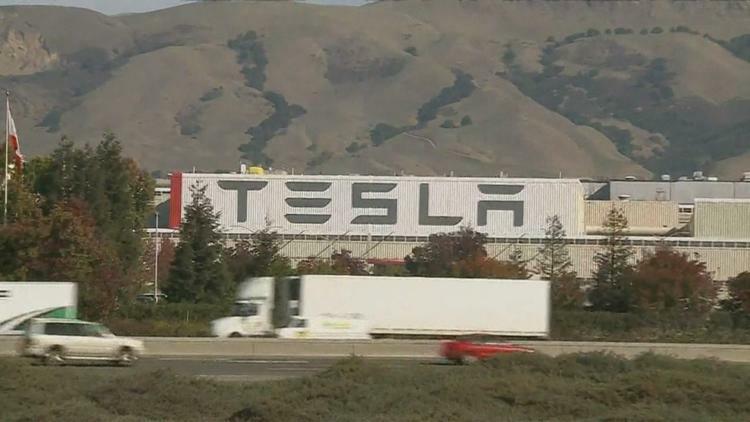 The world doesn’t have that much time, which is why the gigafactory is very, very good news.